The illness is over (thanks for your well wishes) and so back to the grind. Doodled this tonight after toiling away on a couple different projects and feeling bleary-eyed. Apologies to those requests that didn’t get answered this week — I did ponder them but nothing struck me in the sketching way to get them done. Better luck tomorrow! 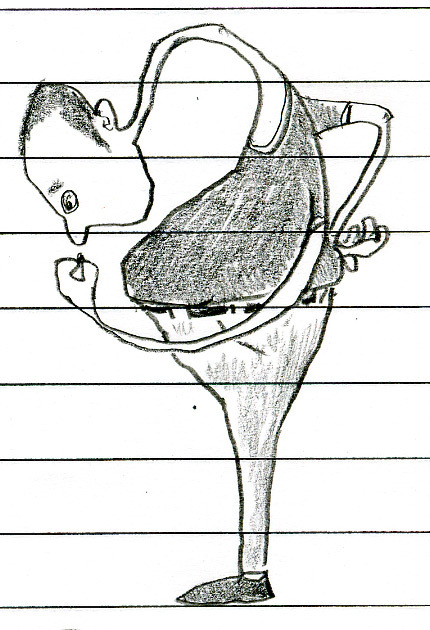 This entry was posted in bleary, doodles, guy, sketches, thing, tired. Bookmark the permalink.